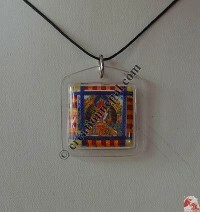 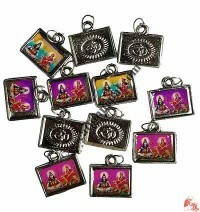 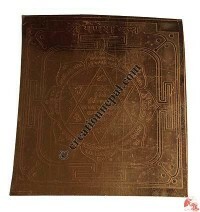 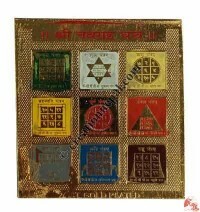 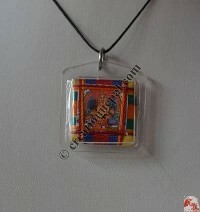 The amulets or pendants are made of sacred mantras or tantric texts and symbols inside. 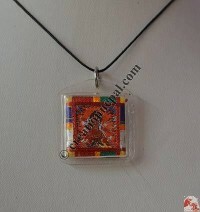 The purpose of the amulet pendant is to protect the person from the traveling negative powers and creates good luck and auspicious circumstances inside the human body. 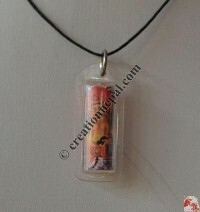 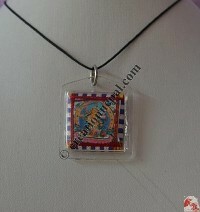 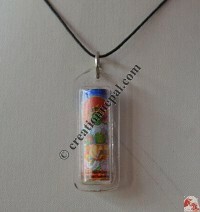 Creation Nepal offers traditional Tibetan Buddhist amulets laminated by the beautiful looking plastic case in different size and shapes. 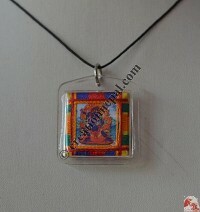 The amulets contains the powerful Buddhist Mantra scripts depending the name of type as written on its name. 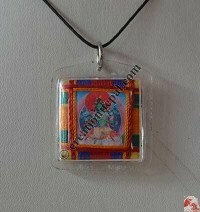 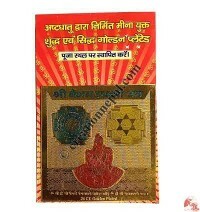 Tibetan amulet like Om Mantra amulets, deity statues amulets can lead to the cause for good energies, and also empowers self positiveness and helps to develop good spirit towards peace and prosperity to the user. 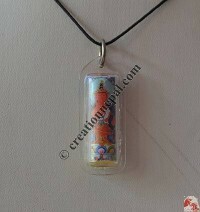 The amulet contains the papers of Buddhist Mantras and blessed by Lama Guru for the health energy, protection from the evil powers bringing the happiness and prosperity. 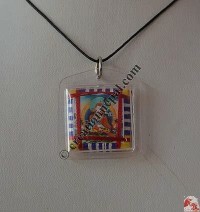 Similarly, some amulets are made as small locket that are made of different Buddha pictures, hand woven auspicious Buddhist symbols wrapped in Mandala design, tiny size Buddha statues and Tibetan medicine pills as well. 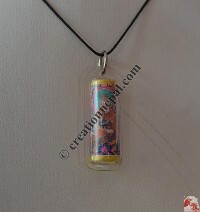 Find some amulets like Mountain protection amulet, Mind peace amulet, Peace amulet, Naga protection amulet, Evil protector amulet, Medicine amulet, Protection amulet, Mind concentration amulet, Wealth amulet, Energy tube-amulet, Long life amulet, Dream amulet, Relax amulet, Wisdom amulet, Love amulet, Money amulet, Copper Sri-Yantra, White-umbrella tube amulet, Guru Rinpoche tube amulet, Buddha Amitayus tube amulet, Manjushri tube amulet, Lokeshwor large amulet, Medicine Buddha small amulet, Chengresig amulet online at Creation Nepal.